On what was a very quiet start to the week for economic data, renewed Brexit fears caused the pound to weaken against the dollar. Sterling had ended last week on a high against the dollar, capping off three consecutive gains against the dollar, but the move proved short-lived, as it fell back below the $1.31 mark on Monday. Recent days have seen some encouraging headlines about the chances of the UK and EU reaching a Brexit deal before the deadline, but yesterday put paid to that. As traders appeared to reassess the chances of a deal being struck. The Scottish National Party said it will vote against any Brexit deal that takes the UK out of the single market, while Downing Street said that there were several major issues yet to be resolved before a deal can be agreed. Theresa May’s spokesman said that movement was needed from the EU and that optimistic comments from EU leaders wouldn’t necessarily result in an agreement at the October summit. Yesterday afternoon, Jean-Claude Juncker was accused of mocking May’s ABBA dance prior to delivering a speech, although the European commission’s chief spokesman, Margaritis Schinas, said that this wasn’t the case. If indeed Juncker was referencing May, it is perhaps worth noting that May’s dance was well-received, so Juncker could at most be accused of joining in with the prime minister’s self-deprecation. Besides, neither ‘dance’ really matters in the grand scheme of things – bigger fish need to be fried. On the economic data front, we saw the industrial production figures from Germany in August, which unexpectedly dropped by 0.3%, following an upwardly revised 1.3% fall in July. The markets had been expecting a 0.4% increase which didn’t help the euro against the dollar, although investors piled into the safety of the dollar anyway. Today we will see the balance of trade figures from Germany for August, but that’s about it for economic data releases of note. So, with that in mind, why not check out some of our recent case studies? They detail some of the work we have done with The Collective, MAG London and On Air Dining and should – in theory – demonstrate how effective the close working relationships we develop with our clients are in protecting businesses from the inherent risks of foreign currency exposure. Also, if your business is approaching its year end, it really is a good idea to get in touch with us about R&D tax credits. If you don’t get your claim in by the deadline, you could miss out on thousands of pounds for no good reason. Just when you think there is some light at the end of the tunnel, along comes Number 10 to take the shine off Brexit hopes. 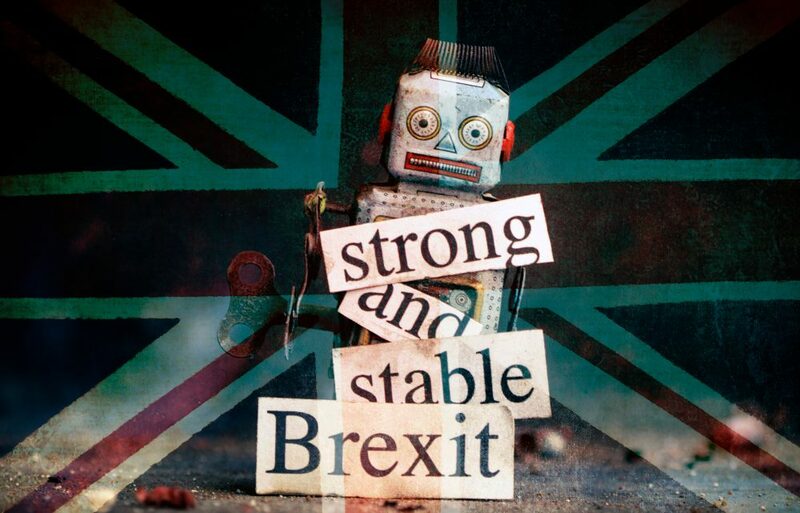 Recent comments made by EU leaders have helped support sterling, as optimism over the chances of agreeing a deal with the EU before the deadline have increased. However, those hopes diminished somewhat yesterday, not least because Downing Street decided to throw some reality into the mix. For too long, there has been a willingness to look at Brexit in ways that aren’t fitting for how complex the situation is. The truth is, there is still so much work to be done before a deal can be agreed – especially the Irish border issue. With just 171 days until the UK withdraws from the European Union, time is running out to iron out the plethora of remaining issues. If I were to list those issues here, this currency note would be thousands upon thousands of words long, but when the SNP announced it will vote against any deal that takes the UK out of the single market, renewed Brexit fears surfaced. Downing Street said the big issues require movements on the EU and it looks unlikely that a deal will be reached at the summit next week. However, there was something to cling on to, as there have been reports that the EU will offer ‘anywhere’ checks in a bid to break the Irish border deadlock. The proposal centres on the possibility that goods destined for Ireland after Brexit could be checked as far away as Birmingham or London. The only economic data release of note from across the UK, Europe and America was the German industrial production figures for August. Economists had expected the figure to jump to a 0.4% increase from an upwardly revised 1.3% the previous month. However, the figure actually showed production fell by 0.3% which was extremely disappointing. The euro traded sideways against the sterling throughout the day, but it weakened against the dollar to fall below $1.15 once again. The euro has now lost almost three cents against the dollar since 25 September 2018 and is showing no real signs of recovery at the moment. Trade war fears have played their part, as investors look for safe havens in times of trouble and the dollar is one of those safe havens. Today we will see the balance of trade figures from Germany for August, while tomorrow is the European Central Bank’s latest non-monetary policy meeting. As I am sure you will have noticed, Brett Kavanaugh was voted on to the bench of the supreme court over the weekend. The votes in favour and against were almost exclusively on partisan lines, with the exception of Joe Manchin. A recent poll showed that 73% of Democrats believed Dr Ford, while 74% of Republicans believed judge Kavanaugh, which serves to highlight how pretty much everything is now a partisan issue. It will be interesting to see what the results of the midterm elections are. The dollar had a good run against sterling and the euro yesterday, to continue a trend that has been going on for the last few months now. It remains to be seen what the next controversy in the US will be, but you can be sure it is only just around the corner. On the schedule today is the NFIB business optimism index and consumer inflation expectations for September. Tomorrow we will see mortgage applications up to 5 October 2018 and on Thursday, the inflation rate for September will be released. It is expected to have dipped to 2.4% from 2.7% in the previous period.